not, determine how far we are from this goal. individual patients and to develop improved vaccines. community, such as The Arthritis Society, and industry. The microneutralization assay is superior to the hemagglutination inhibition assay for the estimation of seroprotection against influenza infection in children PLoS One , PLoS ONE 2015 Jun 24;10(6):e0131531. Zanamivir versus trivalent split virus influenza vaccine: a pilot randomized trial Influenza Other Respir Viruses , 2015 9(2):78-84. 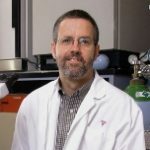 Dr. Brian Ward is currently a Professor of Medicine and Microbiology at McGill University.